Mt. 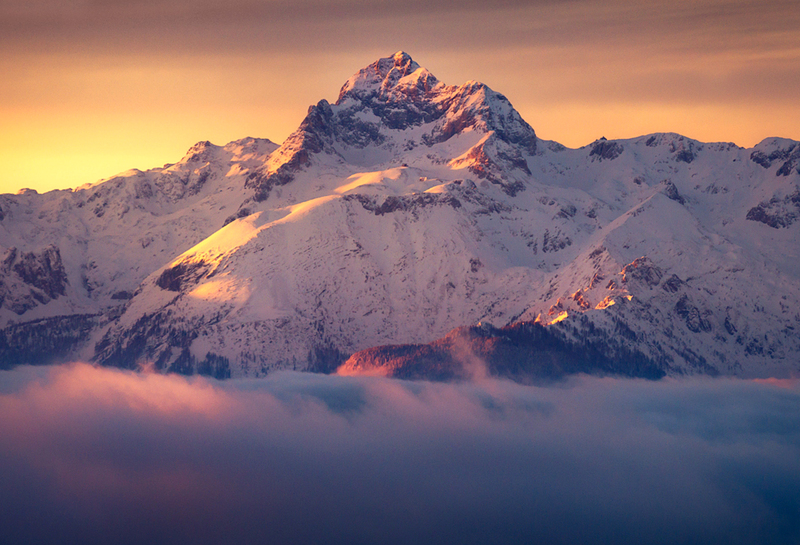 Triglav – an impressive 2,864m three headed monster - is part of the Triglav National Park, an area of the Julian Alps. 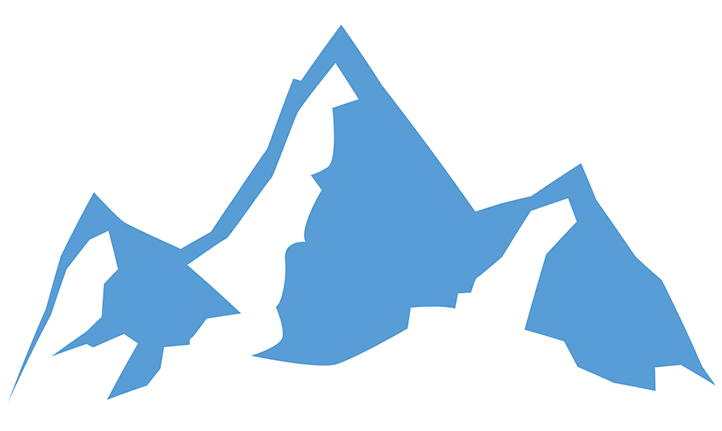 The “three heads” shape of Mt. Triglav is represented in white on blue background on the Slovene national coat-of-arms. MT. 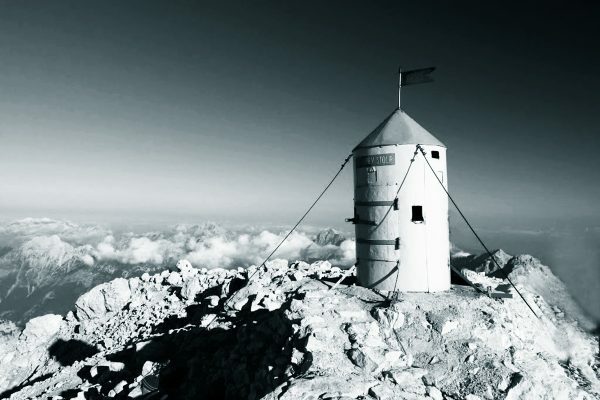 Triglav, the highest Slovenian mountain, is a symbol of Slovene national identity. 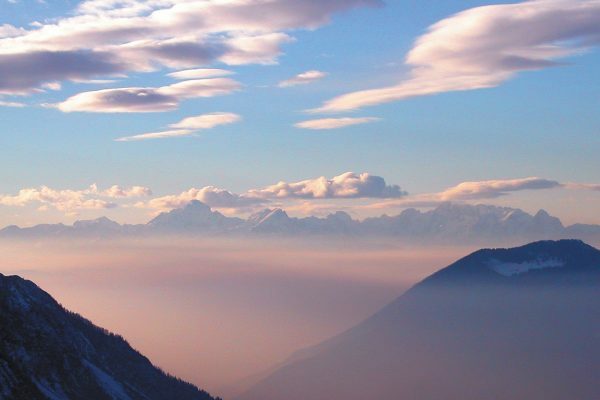 »Oh Triglav, my home, how gorgeous you are! …« is the beginning of the song that was composed by mountaineer, composer and patriot Jakob Aljaž. Organization of all our mountaineering - trekking tours and the comfort of our clients is managed by our experienced staff, who is available at any time. 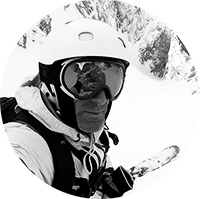 We are all outdoor enthusiasts and we understand the needs of our clients. Our home ground is the Julian Alps. 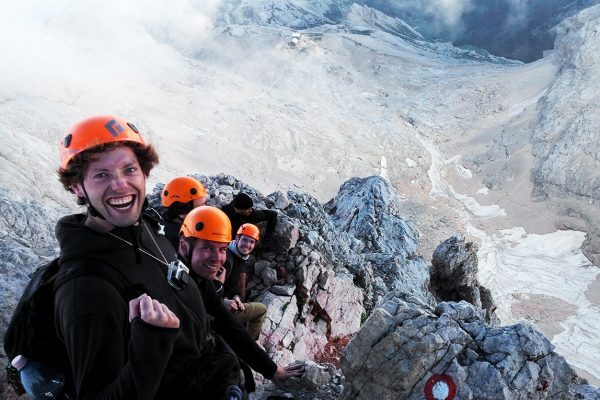 Tours and climbs around Mt Triglav are carried out by experienced and licensed mountain guides. 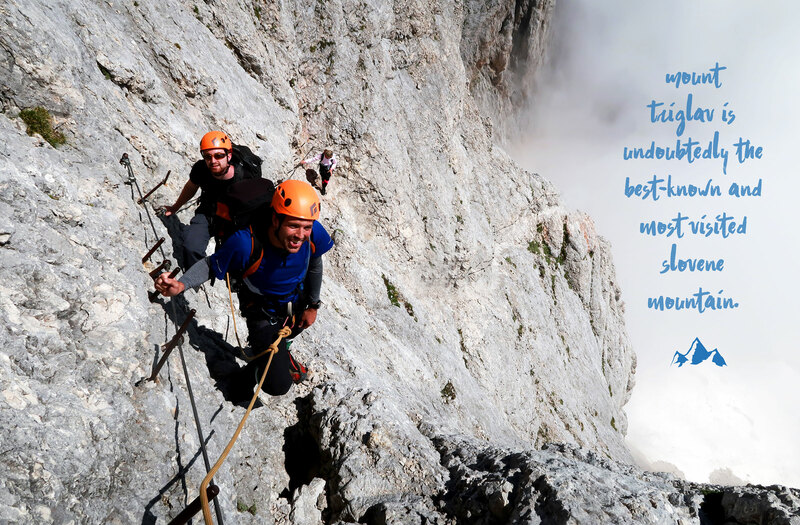 Their main concern is safety and comfort of the clients as well as offering the best possible mountaineering experience. 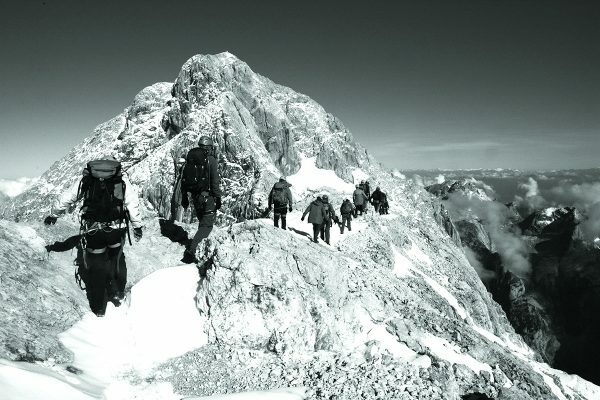 With over 15 years of experience, we know most secrets of walking, climbing and ski touring around Mt Triglav. We are always happy to talk to you about what makes us unique – so call or write to us. 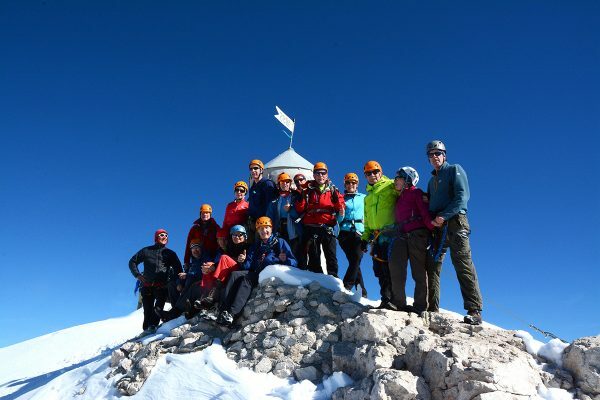 We would love to tell you more about what our Mt Triglav experience could mean to you. 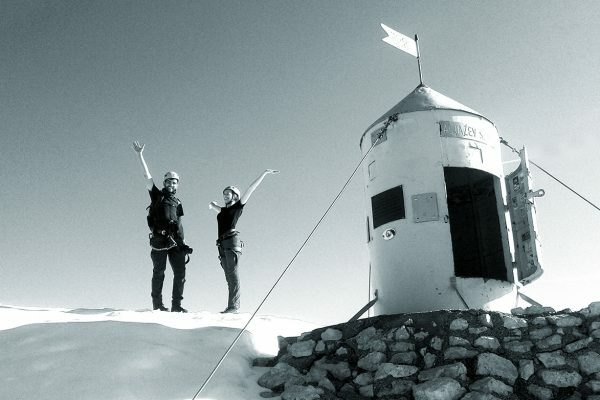 You are welcome to join us and together we will conquer the top of Slovenia! We are a team, which passionately believes that adventure and sustainable travel make the world a better place. We also believe that a life spent in the outdoors is a life well lived. We’ve been sharing our passion for the outdoors since 1998.